Ads, Ads are Everywhere! And Smartphones! And TVs! Have you noticed an influx of online ads accompanying the video you’re streaming on-demand? If you feel as though you've seen more online ads lately, it’s no illusion. This week, comScore released its online video rankings data for December 2012, which found that 182 million Internet users in the U.S. viewed 38.7 billion videos online during that timeframe alone. Online video ad views associated with streaming totaled 11.3 billion, up from 7.1 billion ad views in the same month a year prior. That's an almost 60% increase in online ad viewership in just a single year. 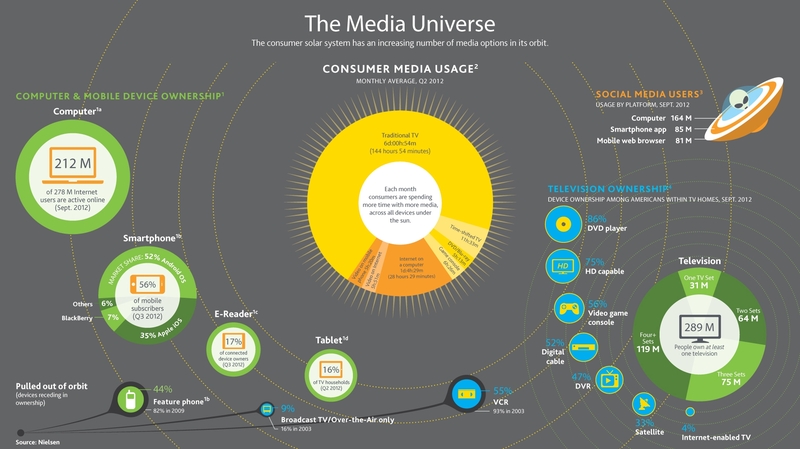 So what does all of this data mean, and how is it affecting the media and broadcast industry? Consumers have come to expect unlimited access to on-demand content--whether content is paid for or not. In fact, Gartner reports that even TV manufacturers have determined that the only path to success is to create smart, Internet-connected TVs that offer access to a plethora of video content. Because of online video's pervasiveness, content creators--i.e. cable providers, broadcast networks, video streaming purveyors--must be certain that they can monetize the content that they share via the Web or mobile devices. To accomplish this, online video platforms have integrated with ad networks so that content providers can easily account for existing online advertising relationships in their video offerings. While online viewing isn't confined to just one age demographic, Nielsen's recent Cross-Platform Report found that 18-24 year olds are the most likely to use their smartphones while watching TV (at least once per day). Given the nuances of reaching Millennials, it is important that video content--including ads--performs consistently regardless of device or operating system, or whether or not second screen functionality is a consideration. These findings indicate that while consumers have widely embraced online video viewing, it remains in the domain of computers, tablets and smartphones. Consumer behavior has not quite caught up with the long-term plans of media companies and TV manufacturers. Consumer behavior and shifting viewing and device priorities are an incredibly dynamic area, and can transform immensely in only a short time. We’ll continue to track this data as new numbers become available. For now, one thing is certain: both mobile and Web streaming must equal monetization and profits in the long-term.